DC Collectibles introduces a line of premium action figures inspired by the World's Greatest Super Heroes appearances on the silver screen! 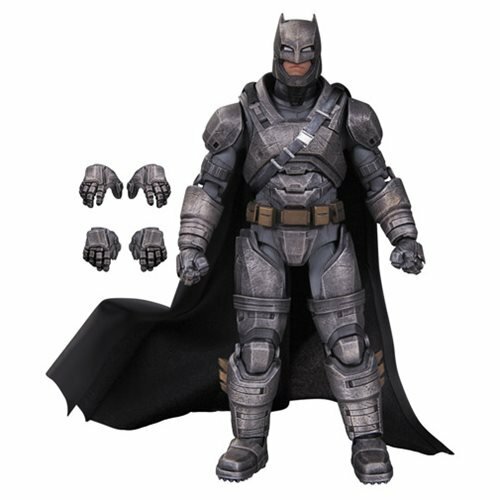 The Batman v Superman: Dawn of Justice Armored Batman Premium Action Figure features an impressive amount of articulation and includes 2 pairs of interchangeable hands. This awesome action figure of the Dark Knight stands nearly 7-inches tall! Ages 14 and up.